Just spray on and wipe off, no scrubbing or rinsing required. 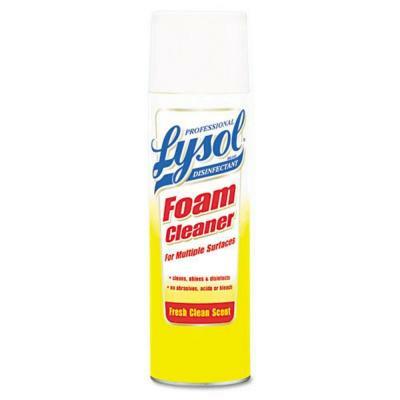 Lysol Disinfectant Foam Cleaner cleans, shines, and disinfects virtually all washable surfaces and fixtures. Cleaner controls mold and mildew, kills influenza A virus, Staph, MRSA, Salmonella, Pseudomonas, HIV-1 (AIDS Virus). 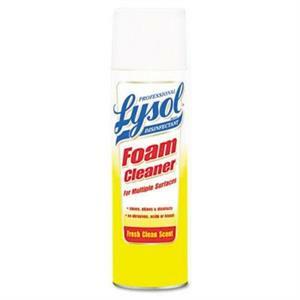 Multi-surface cleaner for use on a variety of surfaces in your home.. Rich foam clings to vertical surfaces.. Unique aerosol valve allows spraying from any position - even upside down.. Fresh clean scent.